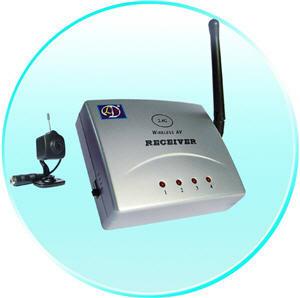 This Very Low Cost 2.4GHz Wireless Camera and Receiver kit is ideal for you first wireless camera, the camera has a 1/3" CMOS sensor and will send a video and audio over an unblocked linear distance of upto 100M to the locked receiver, all you need do is connect the receiver to your TV, VCR, DVR etc to display the video. Recommended Range for Objects: 1-8M. Max effective range 10M.